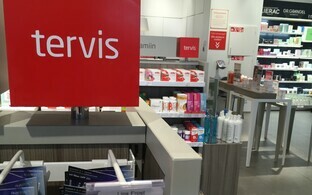 An ongoing dispute between North Estonia Medical Cenre (PERH) and Terve Pere Apteek OÜ, a chain of pharmacies operating under the Apotheka brand, over a premises located at the hospital in Tallinn has not seen significant headway, daily Eesti Päevaleht (EPL) said. Even the date of the hearing has not yet been set; according to the paper, the hearing cannot be scheduled as long as the manner of securing a potential claim for damages has not been determined. "The court has explained to us that the hearing can be scheduled when the file has returned to the first tier court after the settlement of the disputes related to securing an action," PERH administrative director Aivi Karu told EPL. "We have been very patient and sympathetic of PERH's efforts for eight months," Benu Apteek," said Kaidi Kelt, manager of Benu Apteek, which won the contract to operate the pharmacy location last summer. "We have understood that efforts by PERH continue. Should any changes take place, this would be a sign for us that we cannot go on with this kind of patience." 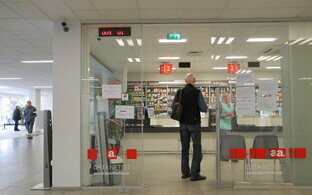 Terve Pere Apteek, the operator of a chain of pharmacies under the Apotheka brand, has run a pharmacy location at PERH for years. 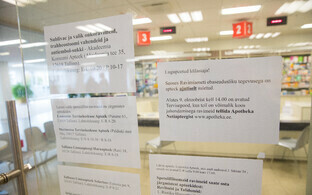 Last summer, as the pharmacy's lease was set to expire, the hospital held a competition for the contract to operate the pharmacy location, which was won by Benu Apteek Eesti OÜ. When the previous lease expired in October, Terve Pere Apteek refused to vacate the premises, citing shortcomings in how the competition was conducted as well as a valid accord regarding rent with PERH. On 4 October, 2017, PERH filed an action against Terve Pere Apteek with Harju County Court, demanding that the premises be vacated. On 9 October, the Agency of Medicines suspended the activity license of Terve Pere Apteek, citing the Medicinal Products Act, according to which a pharmacy must hold a legal basis for operating in a specific place. 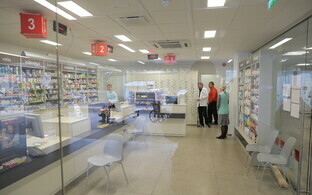 The pharmacy appealed the decision and applied for a continuation of the activity license on the basis of preliminary legal protection. 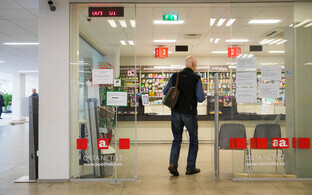 The Agency of Medicines lost to the pharmacy in court in the substantive discussion as well, where the court ruled that the lack of a valid rental agreement was an insufficient violation for the suspension of the activity license.